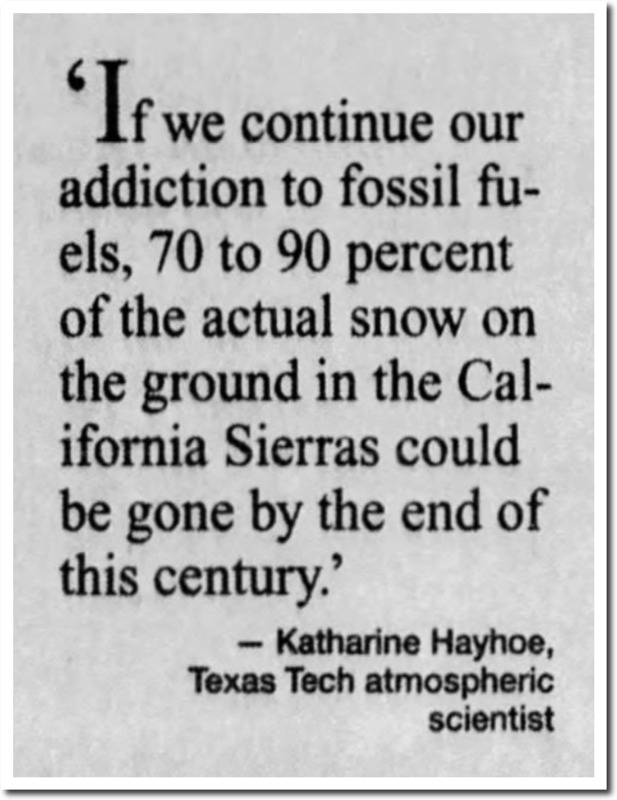 Texas Tech should have put Katharine Hayhoe in the game tonight. She is the #1 blocker on Twitter. And for good reason – she has no clue what she is talking about and can’t withstand or face any criticism. I was looking for some of her most clueless quotes, and found this stunning Orwellian article from 2006. 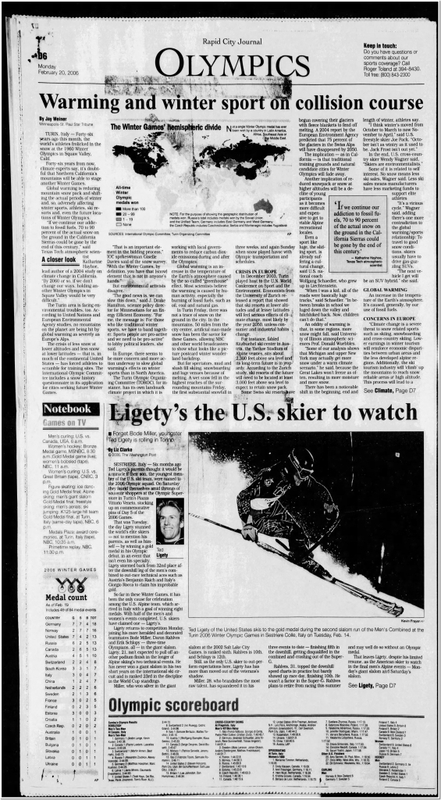 Forty-six years ago this month, the world’s athletes frolicked in the snow at the 1960 Winter Olympics in Squaw Valley, Calif. This is the exact opposite of what happened. The 1960 Winter Olympics nearly had to be cancelled because of a lack of snow. 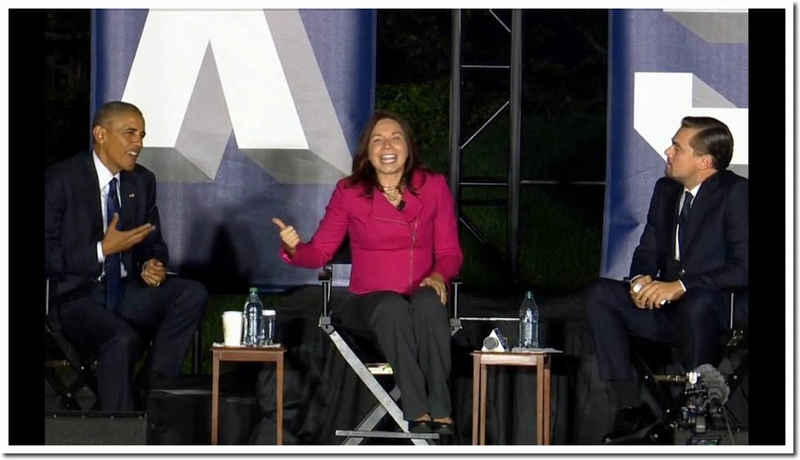 Then Hayhoe continued pulling numbers out from where the sun never shines. 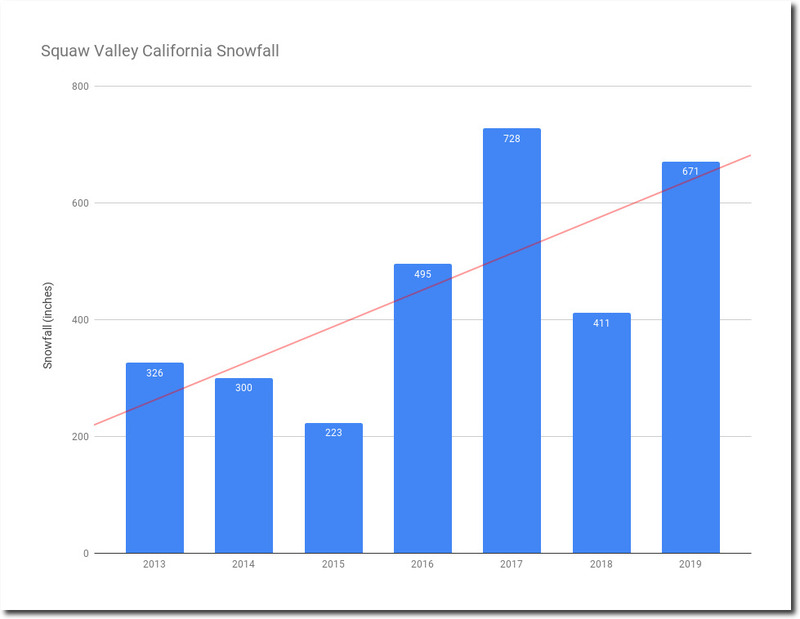 So what is really happening at Squaw Valley? 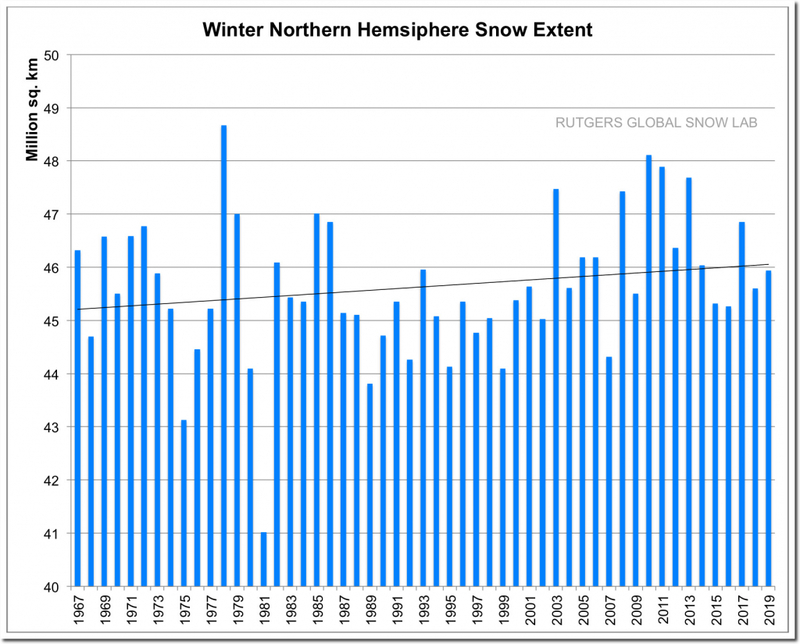 They are having their second snowiest winter on record this year. with the record year being two years ago. Fifty-six feet of snow has fallen on 67 snowy days this winter. 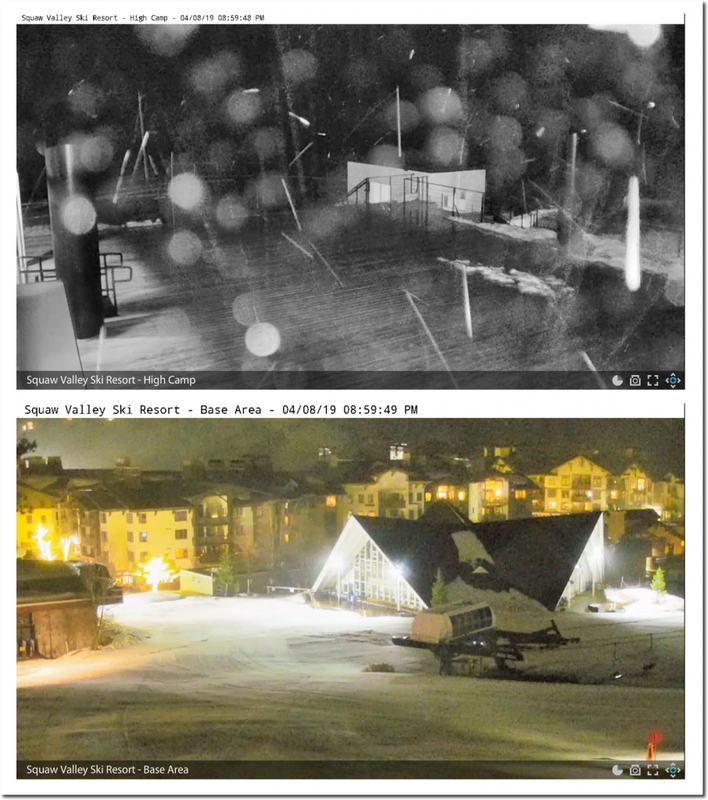 After tonight’s snowfall, Squaw Valley may be in the #1 spot for the date. Their ski lodges are nearly buried in snow, and they plan to stay open through July 4th. Winter snow cover has been steadily increasing in the Northern Hemisphere since the 1960s. This is because the freeze line has been moving south. 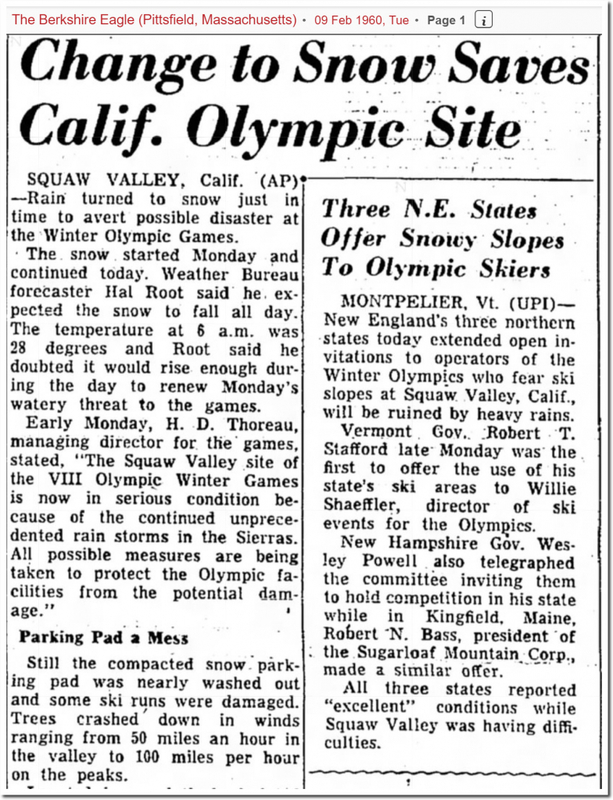 Athletes could barely ski at Squaw Valley during February 1960, but this year they will be skiing in July. Katharine Hayhoe and the press have a consistent pattern of stating the exact opposite of reality, which makes them very popular among progressives.